Never miss the center of the hole again! 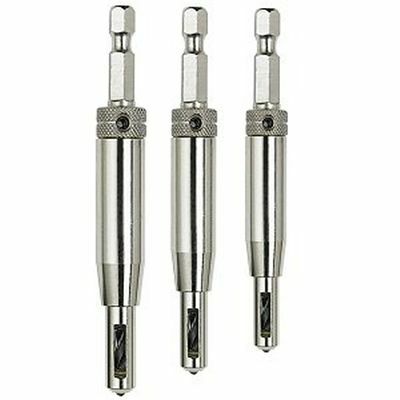 These self-centering drill bits put hinges right where they should be--in the center. 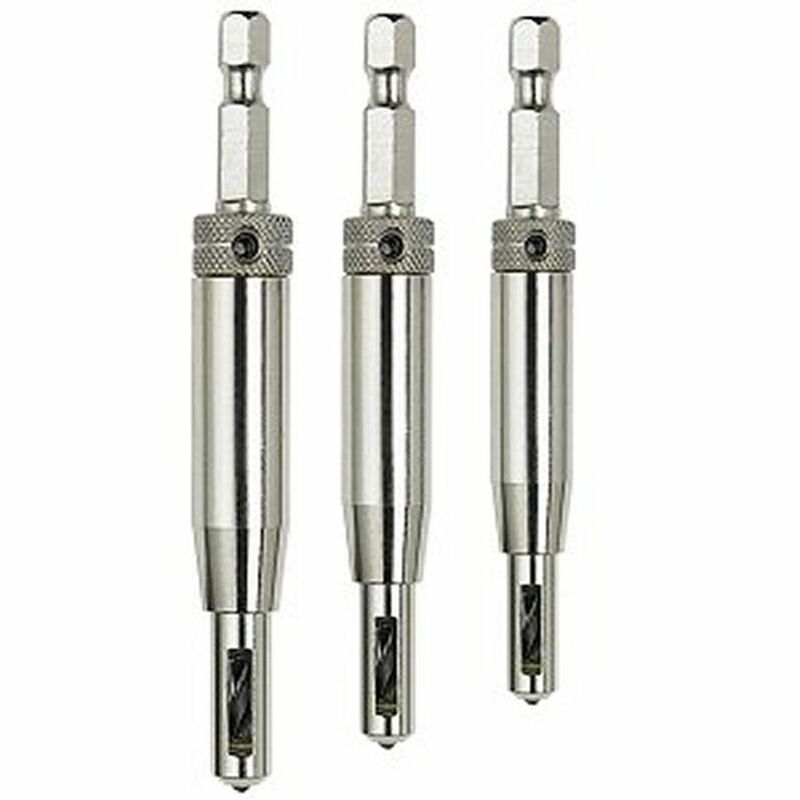 Three popular sizes to drill through metal, plastic, wood and more.